Classic Motorcycle Event – News! 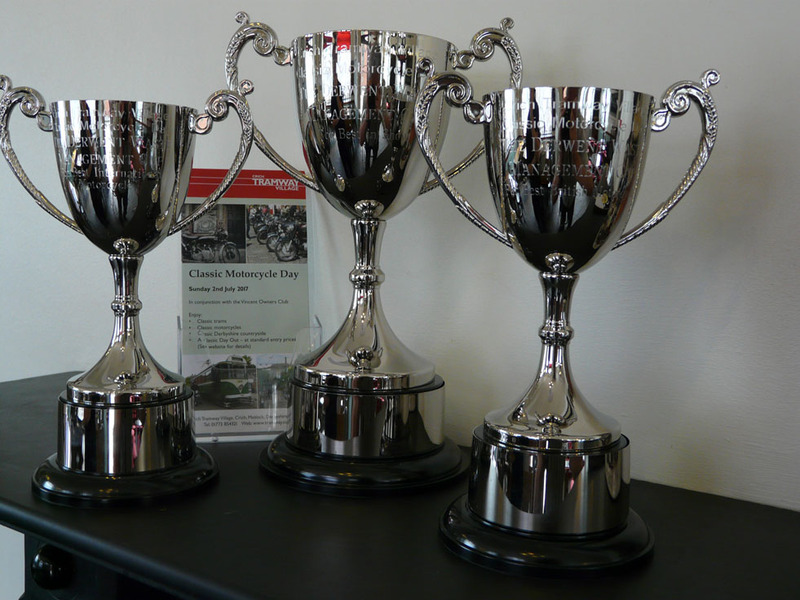 Thanks to the generosity of a local business, Derwent Waste Management, we have three cups to be competed for at our Classic Motorcycle Event which, this year, will be on Sunday 2nd July. The winners of the cups, for ‘Best in Show’ (which will be chosen by our visitors on the day) ‘Best British Bike’ and ‘Best Foreign Bike’ (both of which will be selected by a panel of judges), will enjoy possession for 10 months until they have to be returned to Crich for next year’s event. However, the winners will keep a presentation medal as a lasting award for their win at Crich. We are incredibly grateful to Derwent Waste Management for their sponsorship of awards, which will add greatly to what is to be an annual event.